My Dream Kitten Toy Just $29.98! Down From $55! PLUS FREE Shipping! 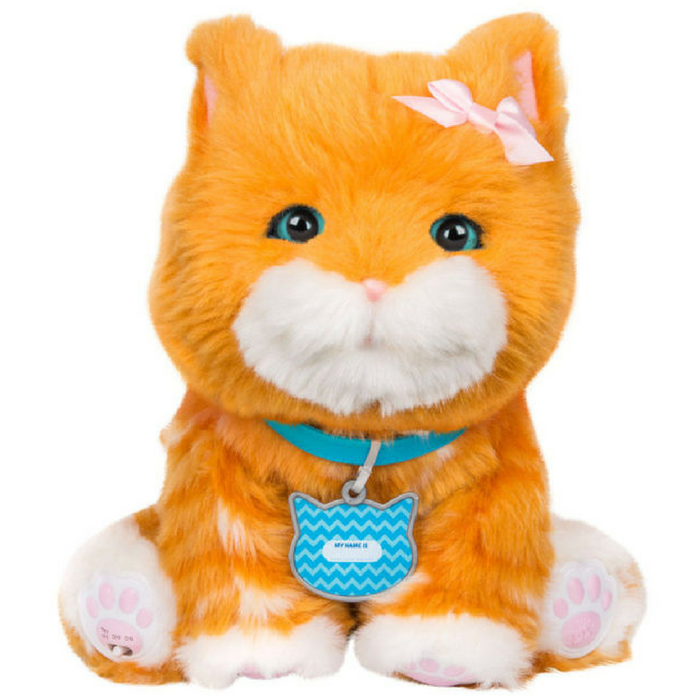 You are here: Home / Instagram / My Dream Kitten Toy Just $29.98! Down From $55! PLUS FREE Shipping! Toys R Us is now offering this My Dream Kitten Toy for just $29.98 down from $54.99 PLUS FREE shipping! The Little Live Pets Puddin My Dream Kitten sounds and acts just like a real cat, and you get to bring her home to play with. Once the adoption certificate and name tag are official, you get to care for Puddin all by yourself. Give her food from the bowl, pat her back and tuck her in for sweet cat naps. When Puddin sleeps, you’ll see the eyes close and hear adorable sleeping sounds. This Little Live Pet also nuzzles, purrs and wags her tail to keep you entertained for hours with your new furry friend. Lovely!